Hi girls! Ready for a gorgeous new H&M polish? 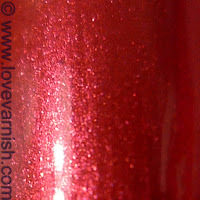 This is Look at Me, a gorgeous metallic red polish that almost covers in 1 coat! It applies very easily and even isn't too hard to clean up. I used 2 coats and topcoat here. 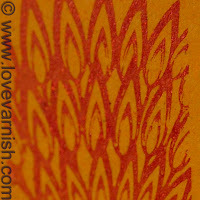 Also tried to stamp with it on a piece of paper and as you can tell, it transferred easily! H&M polish is € 3,95 and can be bought online and in selected shops. Check www.hm.com for more info. Unfortunately I have no idea, don't own any P2 polishes :(. 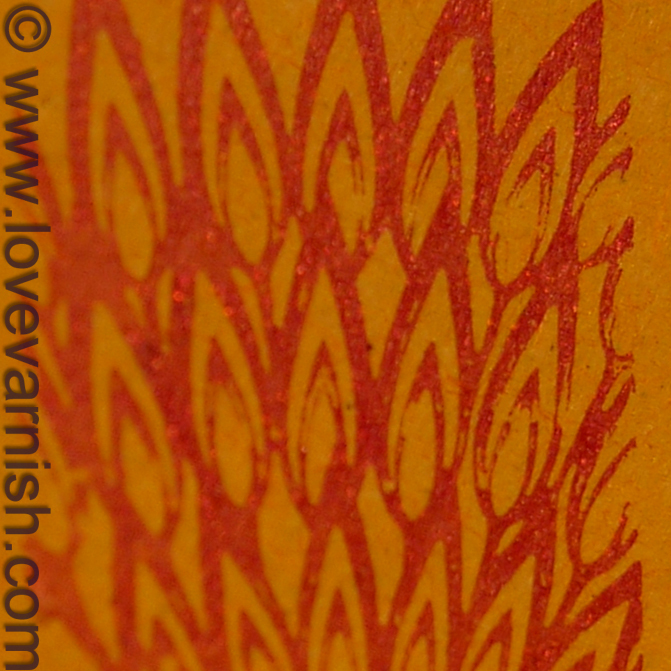 But a good red that stamps can never be bad for you right ;)? Thanks Katy :) yes it was so opaque I thought I'd give it a whirl!